Acne is so much more than just a spot or a blemish. It’s an inflammatory condition often brought about by sensitivity to androgen (male) hormones in the body. 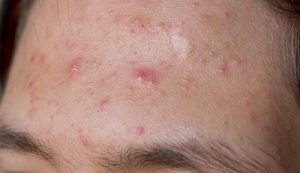 And what is a common trigger for acne? 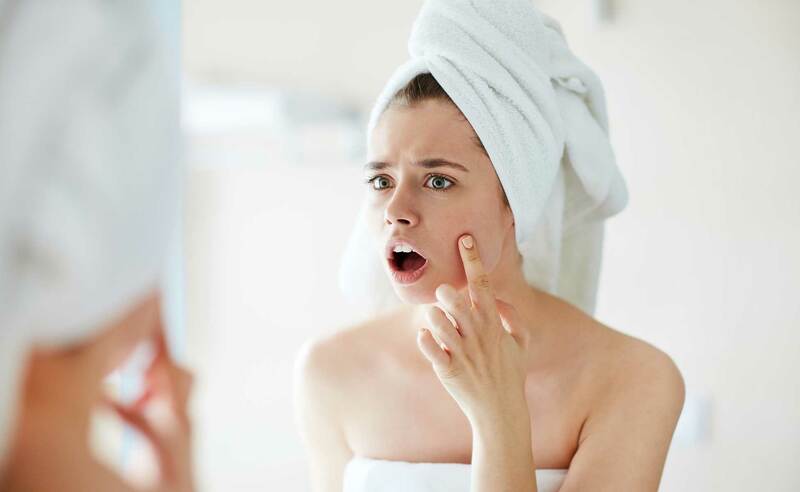 A person suffering from acne often carries a higher bacterial content on their skin, despite a tendency to cleanse the skin more often. Experts suggest that when the body is under stress this bacteria reacts with the sebum (oil) in the skin, and these sebum levels also rise at such a time. That is not to say that other factors don’t contribute to acne, for instance poor diet and lifestyle are other triggers for acne. As I mentioned earlier, people with acne tend to over-cleanse the skin, but this is a mistake as it leads to more oil production and dehydration, or surface dryness. Instead enlist some holistic help, and this is much easier than it sounds. 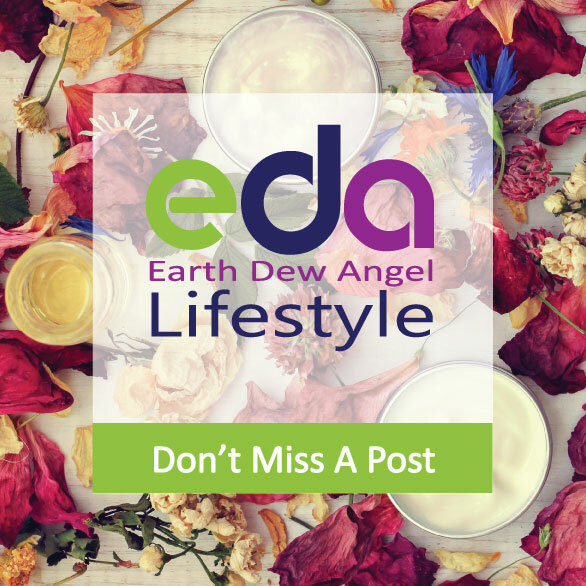 It just means simply adopting some common sense, down to earth habits and using essential oils and natural plant-based products. Let’s look at some holistic remedies…. Firstly, even oily skin needs extra oil. People suffering from acne are often very nervous about applying oil to an already oily skin. However plant and essential oils are strongly antibacterial and promote new cell growth. Applying these oils will not congest or block pores, nor will they interfere with the natural oil flow. Instead they will promote a balance in the skin’s own oil production while healing the skin. So apply healing oils such as lavender, chamomile, eucalyptus, geranium, tea tree, cedar virginian red, niaouli, lemon or myrrh, ALWAYS mixed in a base oil such as jojoba or rose hip carrier oil, at a rate of 15 drops essential oil to 30 mls of carrier/base oil. NEVER apply essential oils directly to the skin as they are too potent for direct use. Secondly, get some fresh air and a little sunlight regularly as this stimulates immunity. Choose natural plant-based products for natural healing. Use a gentle gel cleanser. Do not use abrasive scrubs on the affected skin. Instead use soft absorbing clay masks as they are more beneficial. Avoid processed foods and sugars – these do not support your healing system. Support your healing system by eating plenty of vegetables, natural fats, some fruit, and less carbohydrates. Drink plenty of clean water to help cleanse your system. Vitamins A (betacarotene), C and E, and the mineral Zinc are of particular benefit to the skin. Take a positive approach to stress… use natural remedies such as aromatherapy, homeopathy and massage. And embrace the Angel in you!